We are proud to announce that we are PixelMePink.com as a new owner that services the Austin Web Design Area! The new owner is Sean Hynes a 25 year veteran in Web Design, Web Development and Conversion Optimization and Web Systems Integration. Aside from that we can offer membership software so you can charge you clients monthly, shopping cart websites, ecommerce stores, ZOHO CRM integration with you and even a great drag and drop website maintenance platform. 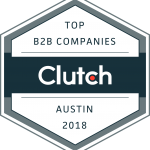 We are actually the number one rated austin web designer firm on Yelp! So with great ratings you know we can meet the needs of a just about any client. We plan on helping the austin web design community in many ways and look forward to serving you!